This past weekend I was browsing my Better Homes and Gardens New Cookbook in hopes of finding a sweet treat to make. A recipe for a peanut butter cake jumped out at me so I decided to give it a try. However, I didn’t want to make a huge 9×13 cake for only two people so I reduced the size of the recipe and made muffins instead. 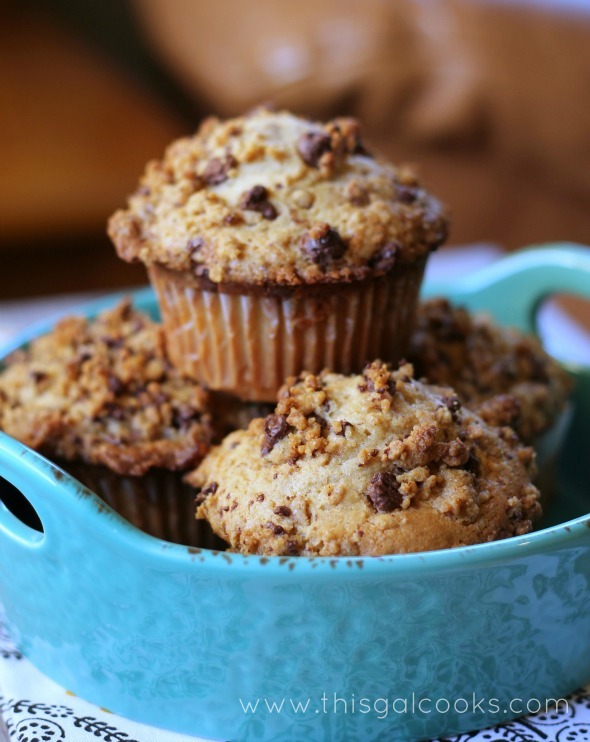 You could consider this a cupcake recipe as the original recipe is for a sheet cake but with a streusel topping, I felt that these were more along the lines of a muffin rather than a cupcake. 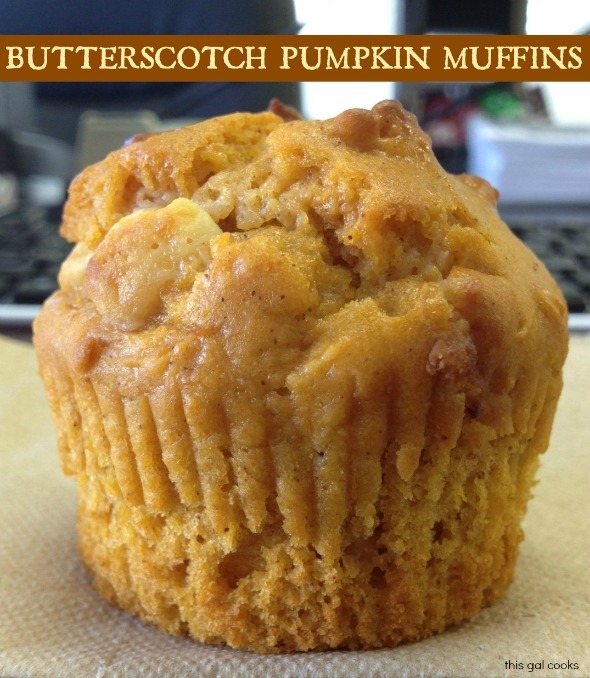 If you like peanut butter, you will love these muffins. You can definitely taste the peanut butter in these little gems. I kind of wish I made more than 6 of these but at the same time, I’m happy I didn’t. They are so good that they are hard to resist. I hope you enjoy this recipe! To make the batter: In the bowl of a stand up mixer, stir together 1 C all-purpose flour, ½ C brown sugar, the baking powder, baking soda and salt. Add the milk, ¼ C peanut butter, egg and 2 tbsp butter. Beat on low for 1 minute and then beat on speed 4 for 2-3 minutes or until smooth. To make the topping: In a mixing bowl, combine ¼ C all-purpose flour and ¼ C brown sugar. Cut in the peanut butter and 1½ tbsp butter until the mixture resembles crumbs. Stir in the chopped chocolate chips. Pour the batter into the cupcake pan and sprinkle with the topping. Bake at 375 for 15-20 minutes or until a toothpick inserted into one of the muffins comes out clean. Good Gosh- throw me one- STAT! YUM! Now I’m ready to go bake muffins LOL! Just dropping in doing a little Bloglovin’ reading:) Hope you have a great day! These look delicious Julie! I just made some muffins too but these sound like they’re tasty! Will have to try. Hi Julie, These look yummy! Great pictures too… pinning to try soon! This muffin was made for me. Hey Julie, all of these muffins looks incredible! Now, I want a muffin! :) Pinning! I’m dying for these!! That streusel, omg. Pinned! Oh yum, your muffins look delicious! Julie, I love anything PB and especially anything with a streusel on top…YUM! Pinning! Ummm, YUM!!!!! I’d eat so many of these! I’ve come down with a cold this week, so as soon as I’m feeling better, I’ll be making these muffins! Pinning! These look and sound incredible! I give you some serious props for not just making the whole 9×13 cake – I would have! LOL! Seriously though, I’m pinning this to make soon! Looks amazing! That streusel just puts this over the top. Yum! Thanks for sharing at Two Cup Tuesday at Pint Sized Baker. I’ve pinned this for later. 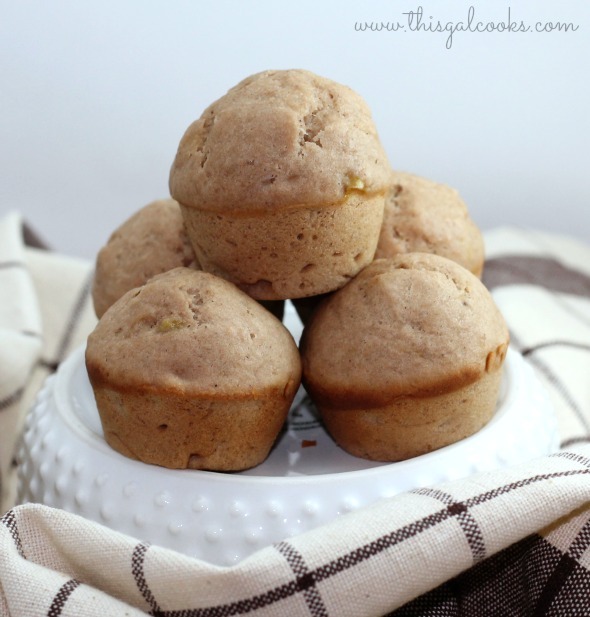 You have such great looking muffins and I cannot wait to try these PB ones out! I am a PB addict. Thanks for sharing! Wow these look out of this world. What do you do with the chocolate chips? WHAT!?! 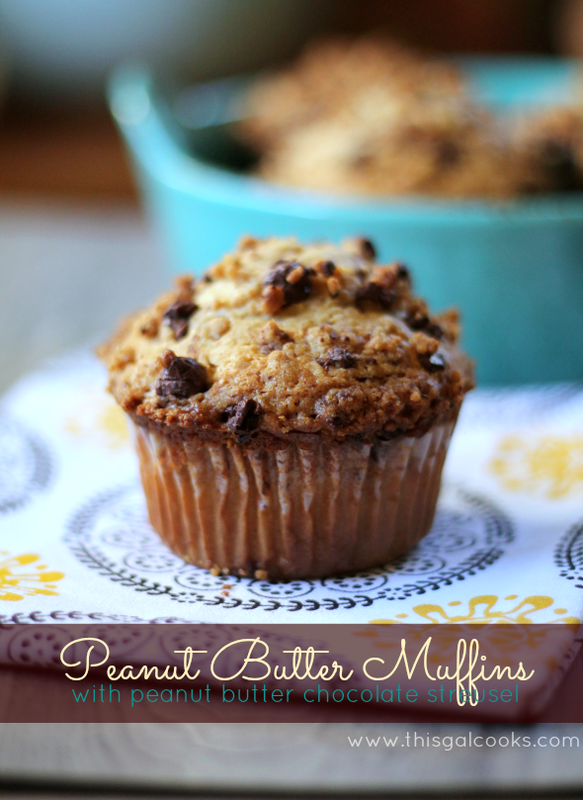 The worlds best combination, peanut butter and chocolate, in muffin form! This could be very dangerous in the morning! These look so yummy especially the streusel topping. Thank you so much, Laura! Gotta love the peanut butter combination!